Great setting on 1.46 acres! This lovely pool home offers a screened – in pool and lanai plus an enclosed porch or sun room. This home also features an open kitchen, formal dining room, great room and a master suite with access to the pool lanai. The back yard offers beautiful oak trees and a long driveway. 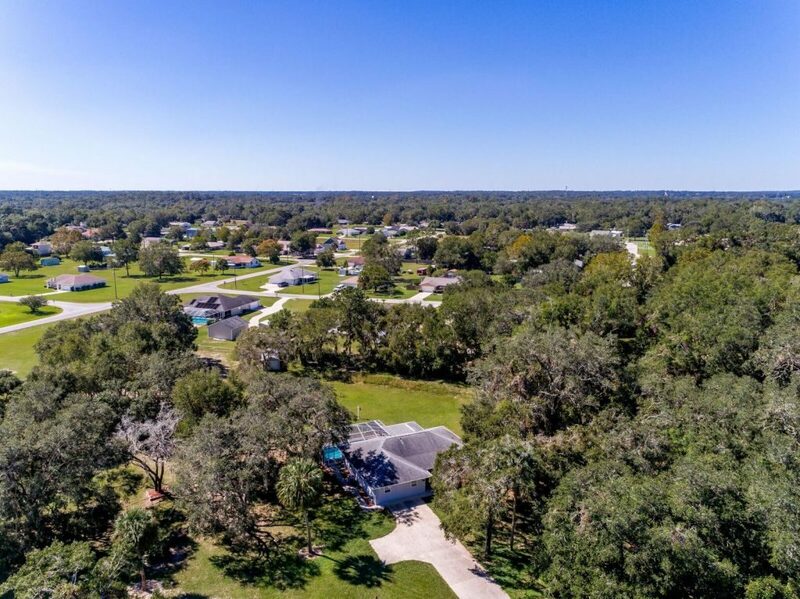 Great location between Ocala and The Villages. This home has everything you are looking for! Call The Dora Campbell Team at 352-547-1080 for more information.